Your opinion matters. Leave your review of Covenant House For Youths. Description: Offers emergency shelter for youth 18 to 21 years old. Services include an on-site health clinic, case management and education and vocational services. Walk-ins accepted. No ID required. Open 24/7. Do you have items to donate? 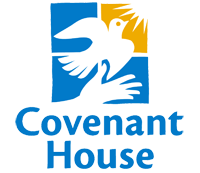 Contact Covenant House For Youths at the phone number provided above to see if they can use any items you may have to donate.